I don't usually gravitate towards pink nail polish, but this looks so pretty! Sally Hansen is one of my favorite nail polish brands! Significantly less cheap than other brands, but works SO well. Definitely recommend :) Thanks Charlotte! I've never tried Sally Hansen nail polishes, but now I might try this one :) it's a pretty pinky shade. Definitely a good one to try. Also love the salon manicure line - amazing shades to choose from! So pretty! I've only used Sally Hansen's white polish and the first two coats are a mess. The third makes it all worthwhile. I'm really not usually one for pinks but this looks so pretty on you! Might have to go and try it out. And I was also shocked when I read Gemmas blog post about Sally Hansen, I definitely had the same image in my head of what she'd look like! I really wish I could wear pale pinks but they just don't look right on me, but this colour is stunning! so elegant! This shade looks great on ur hands! I've never tried this particular Sally Hansen's line of polishes. You know, the bottle is quite plain and I am a sucker for cute packaging (hence my recent purchase of an over priced bottle of Marc Jacobs nail polish). It is lovely to see a baby pink when all I have been thinking about is deep berries and bordeauxs! I actually had to google it myself just to make sure! I totally pictured her as a fabulous cocktail swigging lady of leisure with immaculate nails. Keep doing what you're doing!!! That is so crazy! I always imagined a lady named Sally Hansen who started her small business somewhere on a remote island into what is now a conglomerate of a business. I never even thought of researching who she is because in my mind, she exists/existed! Does this mean Betty Crocker isn't real either? Gutted!! 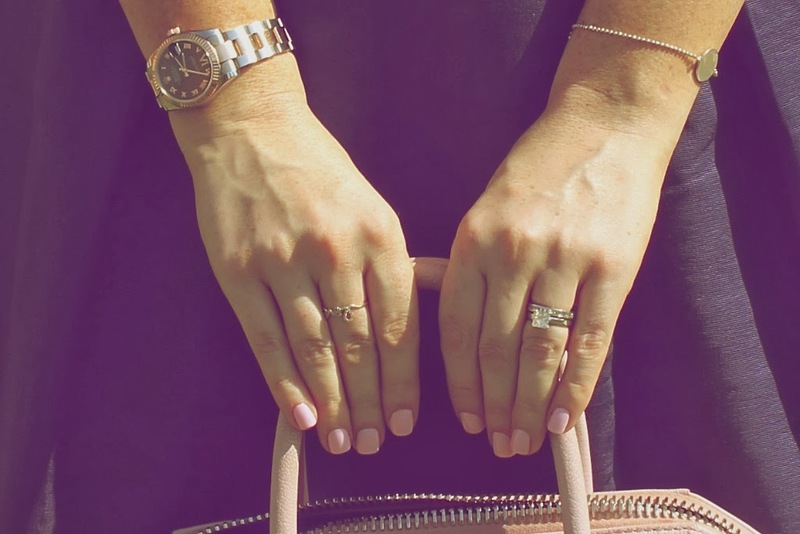 You're nail color is everything and you can never have too much pink! Check out some fall hues on Rank & Style that we think you'll absolutely love! The above rings are classy and attractive and will surely give a great look.